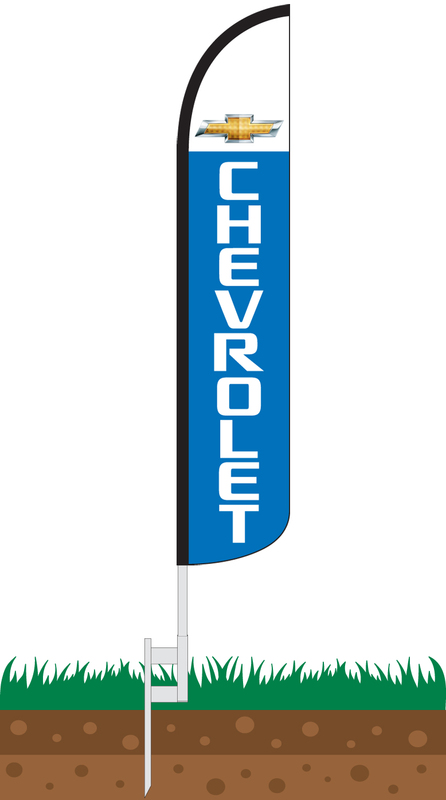 Our Chevrolet Wind-Free Feather Flag features a white upper field with a full color Chevrolet Bow-Tie. 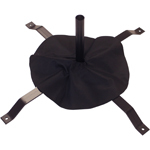 Underneath this is a blue field with white text in the the Chevrolet font that reads, "Chevrolet." 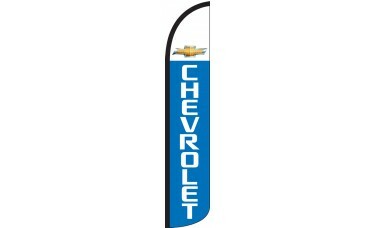 This flag is a good choice for any Chevy dealership to attract new customers.